The Roundup Ready (RR) canola has delivered a $105 per hectare benefit over open pollinated triazine tolerant (OP TT) canola in a recent trial conducted by farmers and an agronomist north of Trayning, WA. Opening rain was received on May 24 of 10.5mm, then June received 49mm, July had 46.5mm, August had 24mm, September had 9.5mm and October, 14mm. The total growing season rainfall was 153.5mm. 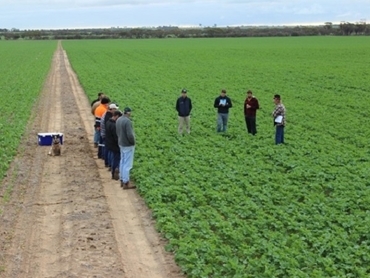 The demo was harvested on November 24 with the Fowlers’ header, and yield of both varieties was taken immediately alongside each other in 1km runs to enable the closest possible comparison.